It’s January, the time of year when we’re all making plans for the year ahead. We’re joining forces with the Austin on Rails Meetup for a special session on goal-setting. 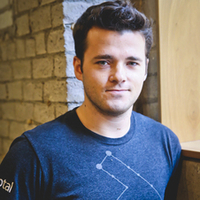 Ethan Brooks, Toptal’s North America Community Lead, will present his workshop titled How to Set a D.A.M.N. Goal. Ethan’s simple (and memorable) new framework is one you can use with clients, team leads, project managers — or all by yourself — to set clear goals and increase your likelihood of achieving them. The meetup takes place January 22, 7:00 to 9:00pm. For questions, please contact Ethan directly.